We carry a great selection of carpet and area rugs. Contact us today for a carpeting installation estimate! We know how important it is to choose the right carpeting for your home or office. Carpeting impacts warmth, noise level and the overall appearance of the space where it’s installed. Let our experienced team assist you in finding the perfect carpet for every room in your home. 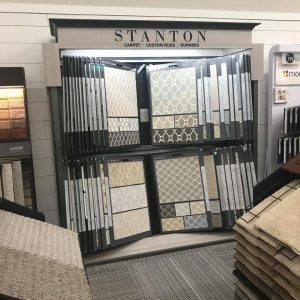 Choose from a wide selection of Stain Master carpet, Shaw, Mohawk, Helios, Godfrey Hurst, Anything Goes, Kane, Maslund, Dixie Home and Tuftex carpets. We also carry a large selection of area rugs. We can guide in choosing the perfect match that both fits your style and your budget! Give us a call today and we can schedule a free estimate that’s convenient for you. Area rugs are a great way to add a splash of color to any room or to change a cold, uninviting area into a visually appealing retreat. We feature a great selection of area rugs in a variety of sizes, shapes and colors. With over 25 years in the business, you know that Howland Floor Covering is a name you can trust when it comes to carpeting selection and installation.